This glorious home in Lancashire lies on the edge of the Forest of Bowland and is within easy reach of Liverpool, Manchester and the Lake District. In the 1930s, the Satterthwaite family made a big decision: to build a fine new home in the country. 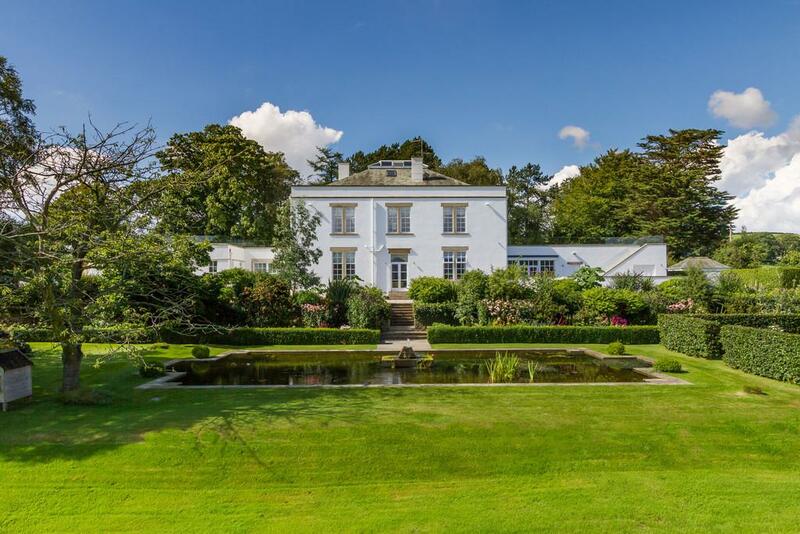 The result was the beautiful Halton Green House, a wonderfully eclectic house and grounds which has all manner of different influence, and which is now on the market at £2.5 million. What first jumped out at us on seeing this place was the clean, simple lines of the building – somewhat reminiscent of the Art Deco clubhouse at Royal Birkdale, not far away on the coast. The current owners have added to this house, but have taken great care to retain the symmetry of the original design. 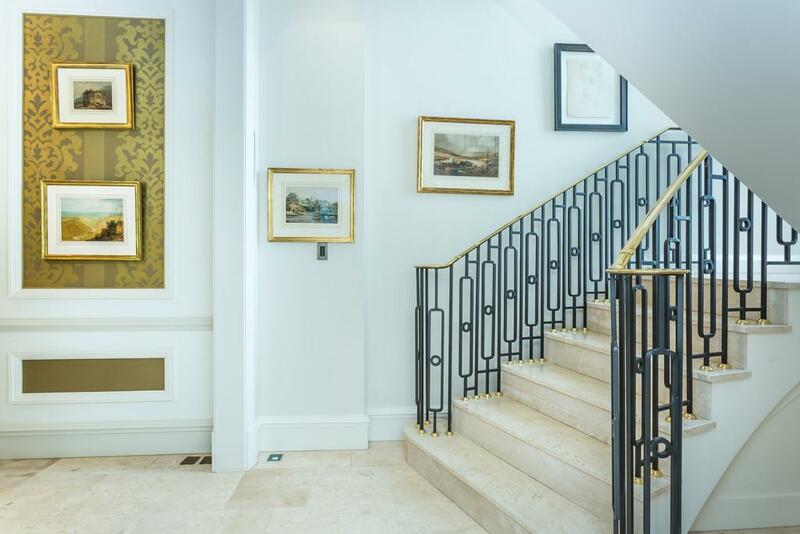 Inside, there are even more touches which evoke different eras: the parquet flooring in the library is a delight, while the Florentine marble used in the hallway and on the sweeping staircase seems part-continental, part Beverley Hills. That touch of American glamour also extends upstairs, where there is a room with a glass floor – yes, you could see it as a tad gimmicky. 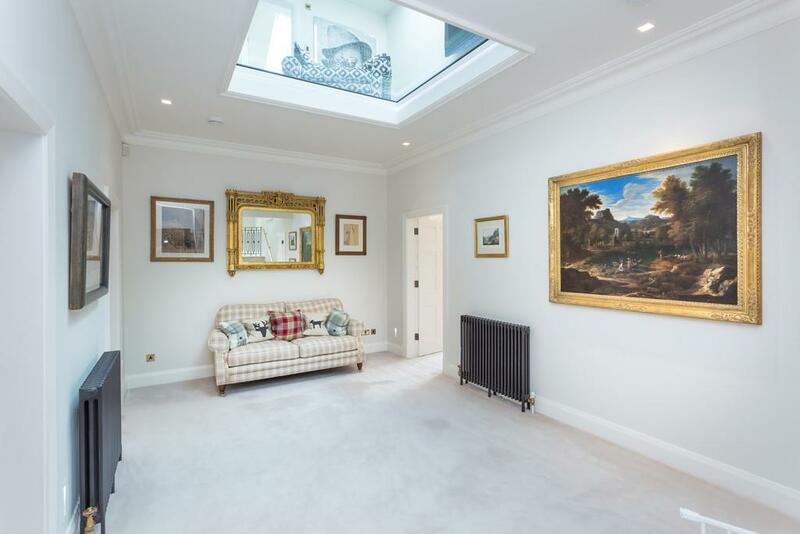 But it’s a very practical solution to bringing more natural light into the centre of the house, since it allows light from the skylight above to pour in to the building. Halton Green House didn’t always look quite so striking: it’s had an interesting history through the years, and during the Second World War was even used as a barracks. In the 1950s, it became a favourite bolt hole of Frankie Vaughan, one of Britain’s most popular singers of the 1950s. Vaughan was a fishing fanatic and spent several summers living at Halton Green House so that he could go and enjoy his favourite pastime on the banks of the nearby River Lune. 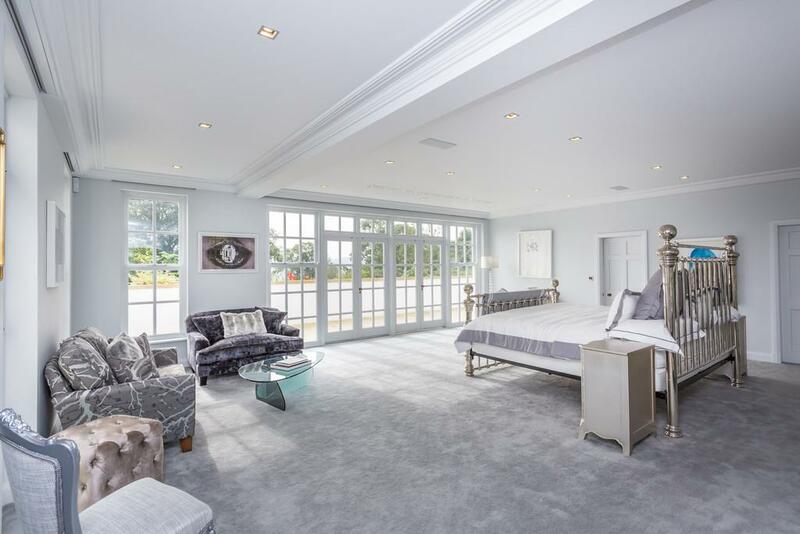 The house as is stands today and seven bedrooms – one of which is a master suite with an en-suite and dressing room, the latter of which has direct access to the rooftop garden that sits above one wing of the house. One of the bedrooms is part of a separate, self-contained guest suite, ideal for giving visitors their own space. 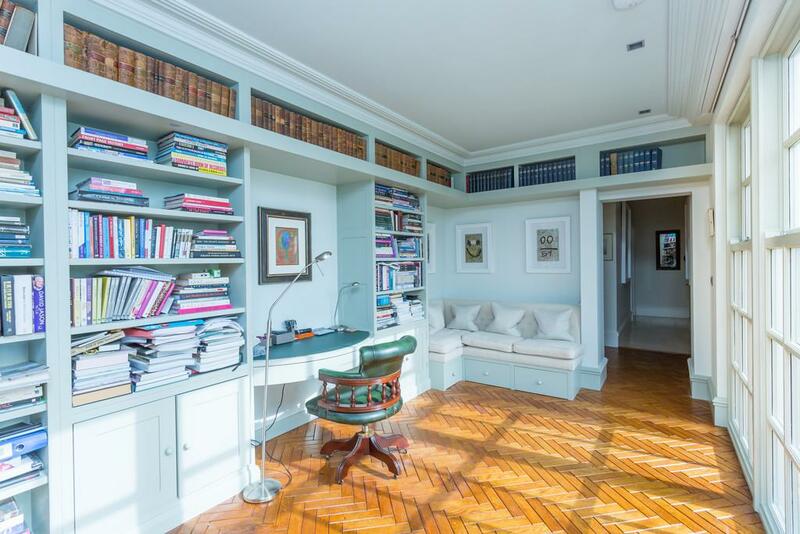 Beyond the sleeping quarters are all sorts of other spaces: a garden room, cellar, a study, a gym, and a cinema room on the second floor, among other things. Outside, the are a mix of lawns and areas planted informally with mature trees and shrubs leading to a more formal area of raised beds with greenhouse, garden shed and glazed workshop area. There is even a gardener’s room and a separate kennel – with its own central heating system – as well as a sizeable paddock. 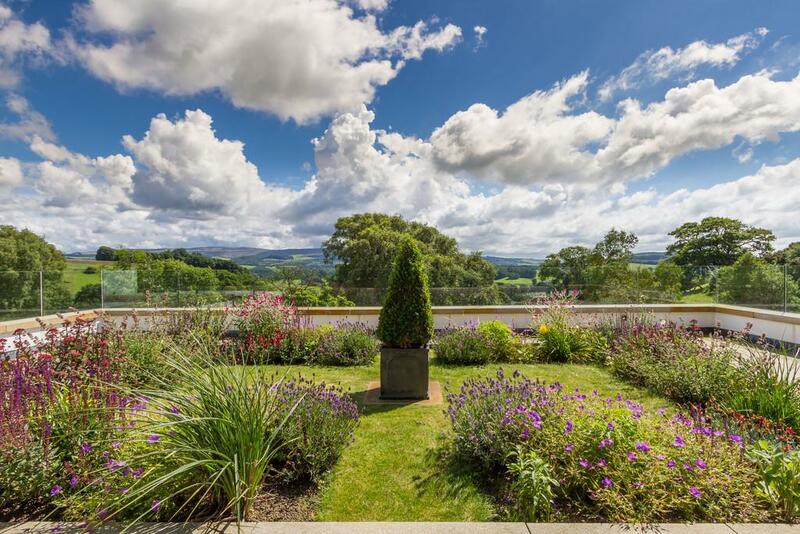 But you needn’t go so far to enjoy the garden: the roof terrace has a central garden area, and it can be accessed either from the master suite or via stone steps from the ground floor terrace. It’s as fine a party space as you could imagine, ideal for entertaining while taking in the views across the countryside. Halton Green House is for sale at £2.5 million with Fine & Country via OnTheMarket.com – see more details and pictures.